Lajos has a strong desire to teach and automate everything. Currently he delivers Docker and Kubernetes trainings for Container Solutions. Previously he has collected 12 years of enterprise Java development experience at EPAM. Where he developed a bootstrap training course for hiring junior developers. After leaving EPAM, in 2014 he co-founded SequenceIQ. The Cloudbreak project was created to have a cloud agnostic API for provisioning/monitoring containerized Hadoop environments. SequenceIQ was later acquired by Hortonworks. After 2 years he has shifted his focus towards containerization trainings and consultation. 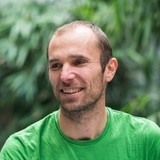 He is the organiser of the Docker Budapest Meetup, and co-organiser of the Kubernetes Meetup.